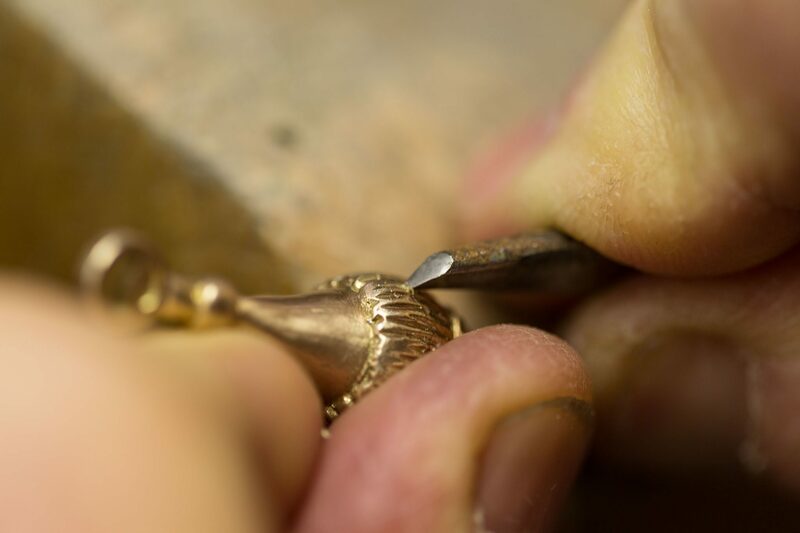 Soon after the melting takes place, a new craftsman takes care of cleaning the model, refining and making improvements. 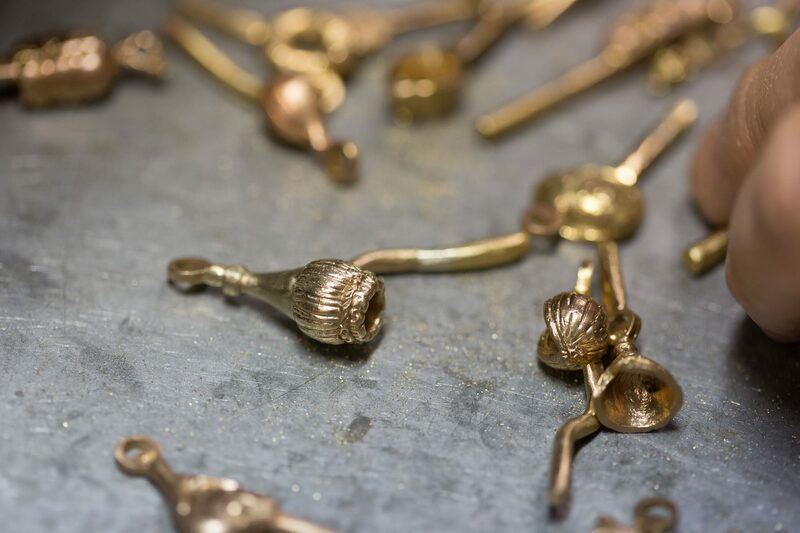 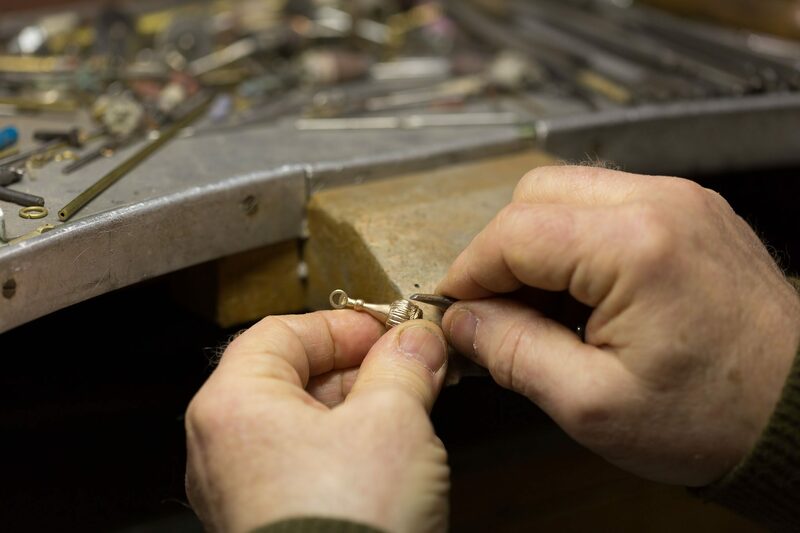 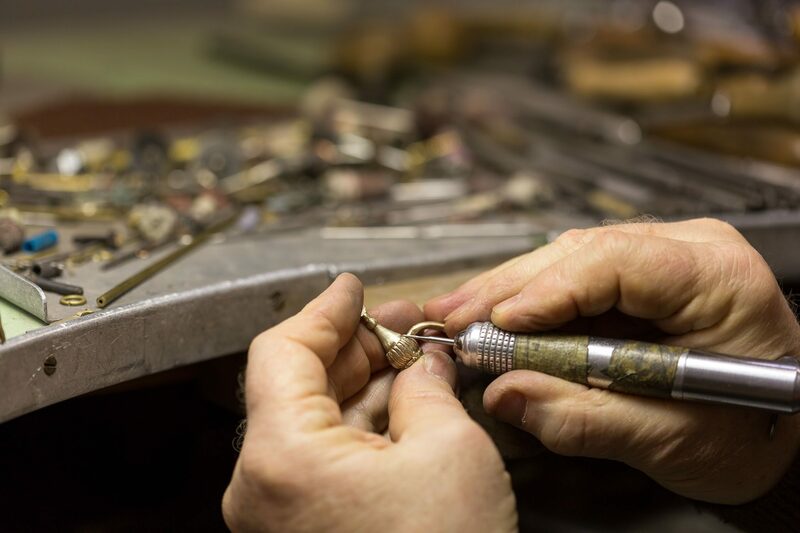 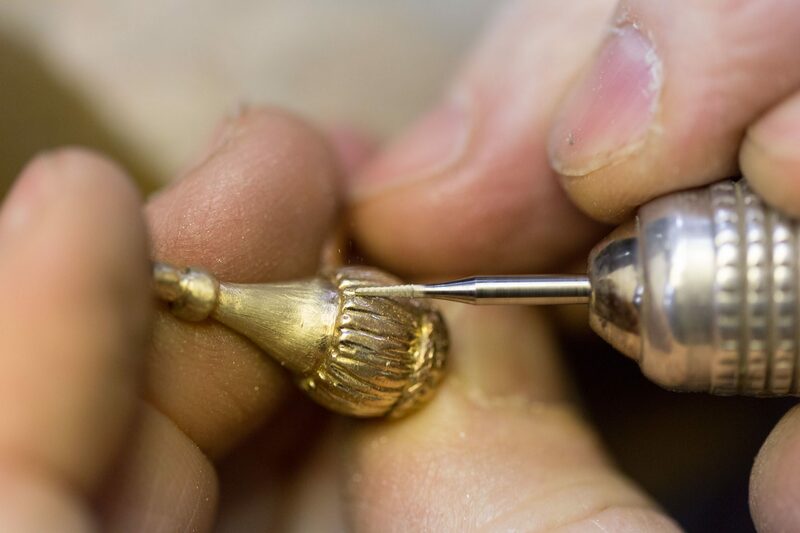 A goldsmith creates an ideal product from careful and meticulous work. 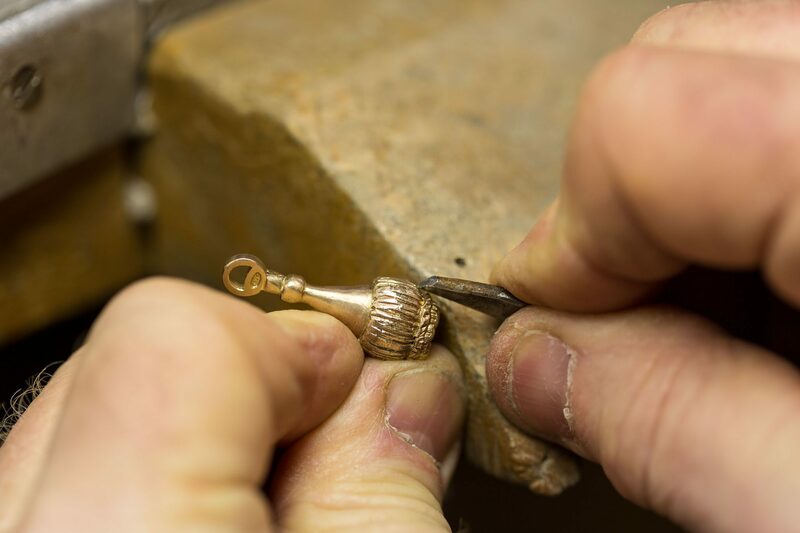 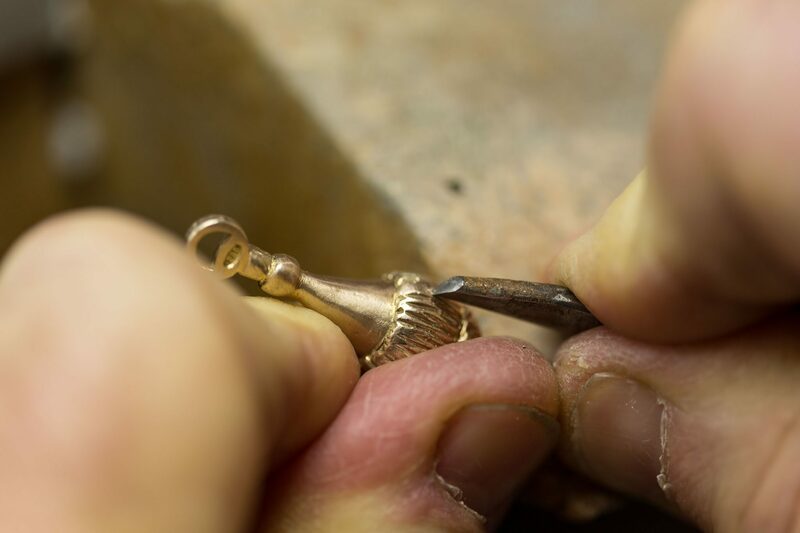 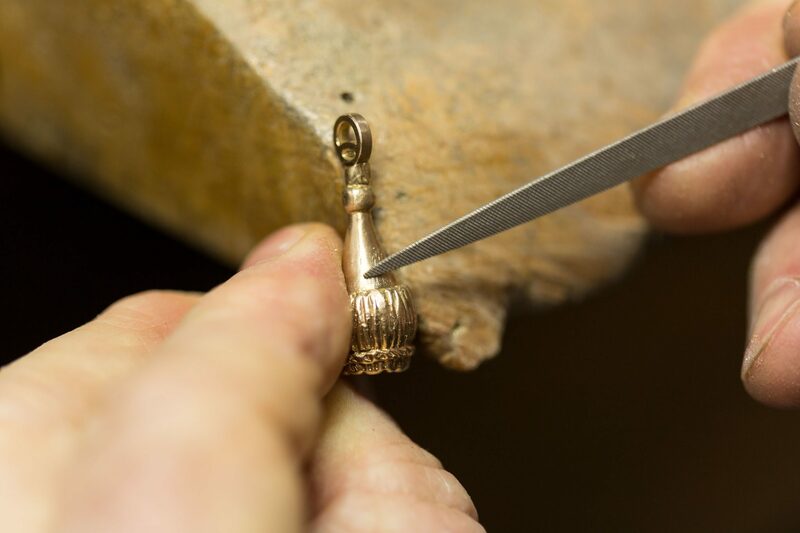 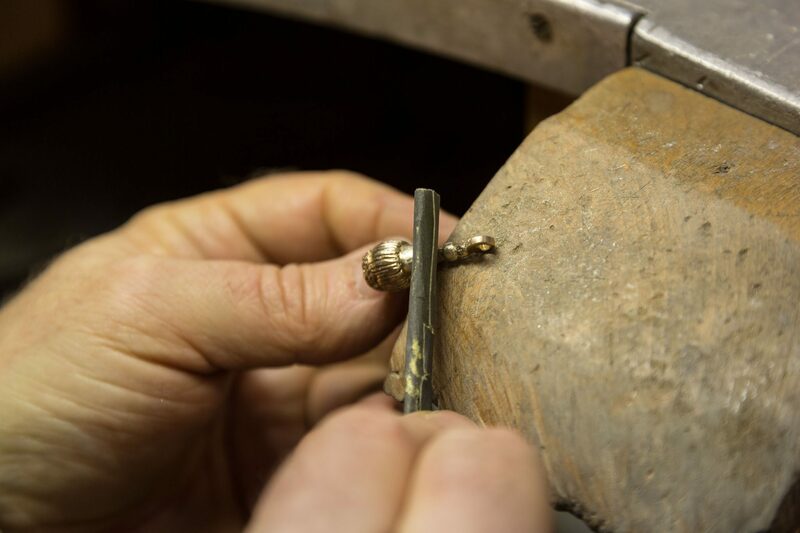 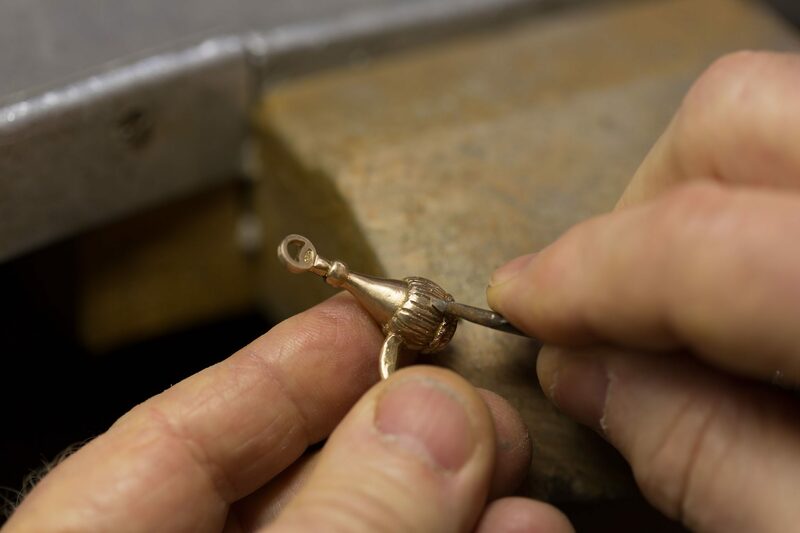 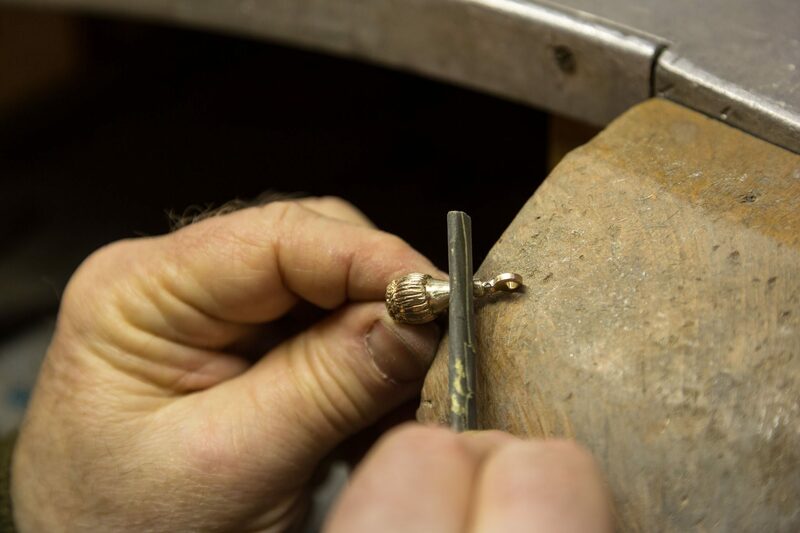 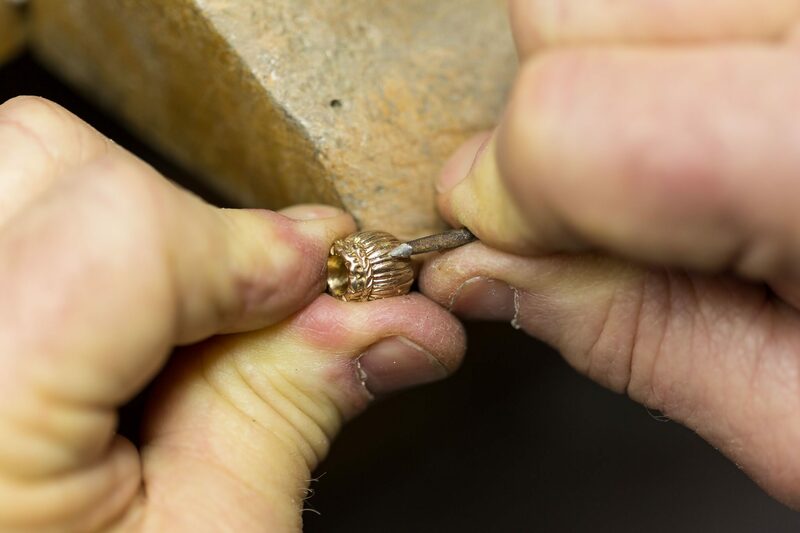 Artist at work: A goldsmith adds finishing touches to a Chianti Wine Bottle into a charm.